The “Maxi Talalay Cervical” pillow has a surprising capability to mold to the head and neck: it will help you to improve your sleep. It favors relaxation and stretching of cervical vertebras when sleeping both in a supine position or on your side. The “Maxi Talalay Cervical” pillow is suitable for people with a wide shoulder width. The internal part of the pillow is made of 100% natural Innergetic® foam. 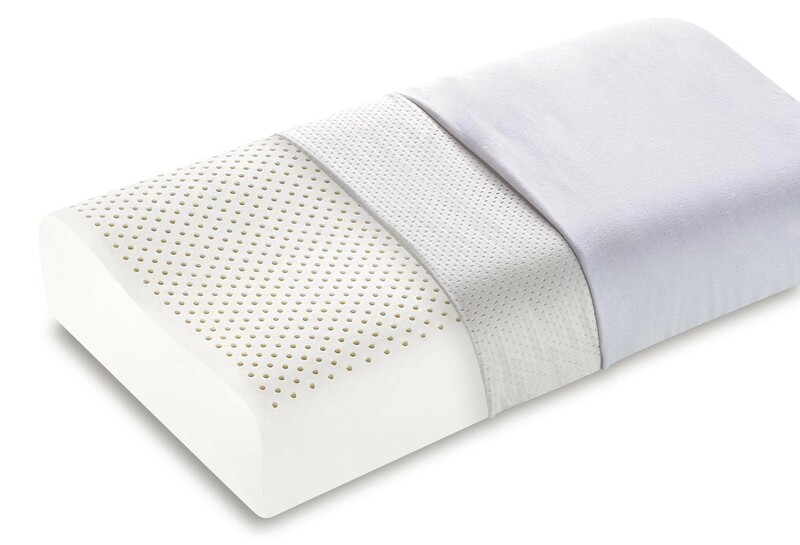 It has high breathable qualities thanks to the holes on the core and will guarantee a perfect sleeping microclimate. The external cover of the pillow is made of Actisystem fabric which can be removed thanks to a handy zipper and machine-washed at 60°C.